I am a sociocultural anthropologist who specialises in the anthropology of development, hope, and NGOs with an area focus on Melanesia, South Asia, and Oceania. My comparative, ethnographic research focuses on the processes of development and social change in urban areas, how social actors relate to the future, the politics of hope and agency, and creative artistic practices. I am currently finishing a book manuscript about how women organise for social change through grassroots-level development initiatives in urban poor areas of Kolkata (India) and Lae (Papua New Guinea). I am also working on a Marsden-funded visual ethnograhic research project, “East Side Orchestras,” that explores the social impacts of NGOs operating orchestral music education programmes in areas of high socioeconomic deprivation in urban Wellington, New Zealand. Shanna Bosley, PhD in Cultural Anthropology, “‘We don’t have that here’: Human trafficking in New Zealand” (co-supervised with Catherine Trundle). Jared Commerer, PhD in Cultural Anthropology, “On Theorising Anthropological Theorising: Deciphering the Context of Discovery” (co-supervised with Brigitte Bönisch-Brednich). Zahida Jatt, PhD in Cultural Anthropology, “Resisting ‘Retributive Demolition’ and Protecting Pre- Partition Buildings: Community-led Preservation Efforts in Pakistan” (co-supervised with Eli Elinoff). Rebecca Ream, PhD in Geography, title a work in progress that includes the keywords “Revisioning Arcadian New Zealand Wairarapa/narratives/more-than-human/Pākehā women land producers” (secondary supervisor with Sara Kindon). Jennifer Shennan, PhD in Cultural Anthropology, “Dancing in Diaspora: Two Wellington dance groups in context of their communities” (co-supervised with Catherine Trundle and Michael Jackson). 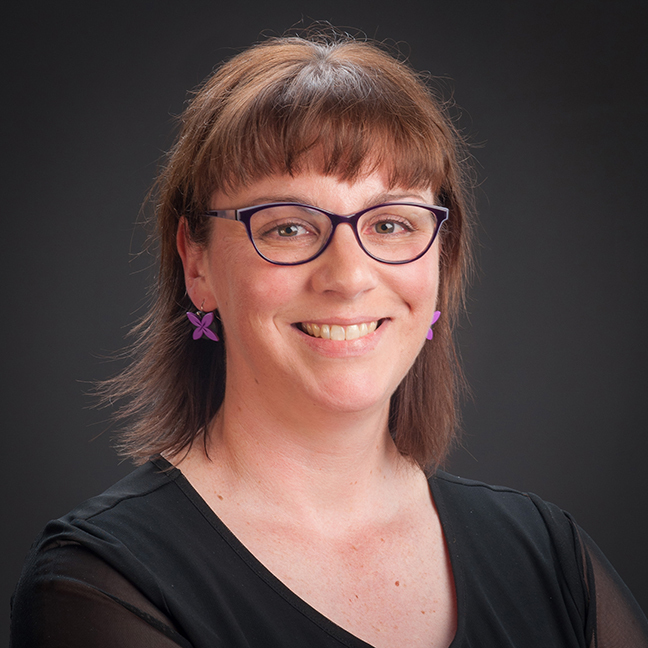 Rachel Yates, PhD in Pacific Studies, “Skilled Migrants in the 21st Century: A case study of NZ-Born Pacific Islanders teaching English in South Korea” (co-supervised with Brigitte Bönisch-Brednich and April Henderson). Jenny Taotua, MA in Pacific Studies, “Riding the K-Pop Wave in the Pacific: The influence of Korean Popular Music on Pacific Youth in Aotearoa, N.Z.” (primary supervisor with April Henderson). Evelyn Walford-Bourke, MA in Cultural Anthropology, “The Construction and Contestation of the ‘Good’ Beneficiary within New Zealand’s Welfare System” (secondary supervisor with Eli Elinoff). Annabel Bennett, MA in Cultural Anthropology, “Tourism bisnis and “making ples”: An ethnography of ni-Vanuatu bungalow and tour owners on Malekula” (primary supervisor). Tarapuhi Bryers-Brown, MA in Cultural Anthropology, “”He reached across the river and healed the generations of Hara”: Structural violence, historical trauma, and healing among contemporary Whanganui Māori” (secondary supervisor). Olly Guthrie, MA in Cultural Anthropology, “Playing the Game and Pulling the Fingers: Working for and against the Modern University” (primary supervisor). Rara Larasati, MA in Cultural Anthropology, “Success as social: Exploring young people's understandings of success in rural Java” (primary supervisor). Shani Luxford, MA in Cultural Anthropology, “An Anthropological Journey of Belonging: Somali Women Re-Imagine Home in Wellington, New Zealand” (secondary supervisor). Gibson, Lorena. (2016). Bastis as "Forgotten Places" in Howrah, West Bengal. In Globalisation and the Challenges of Development in Contemporary India (pp. 187-208). Springer. Lorena Gibson (2014) The Interview: An Ethnographic Approach, The Asia Pacific Journal of Anthropology, 15:5, 490-493. Gibson, Lorena, From Crisis to Epiphany: what firing a research assistant helped me appreciate about agency and Muslim women in Howrah, West Bengal, India. Sites New Series, 9, 2, (2012) pp. 114-141. Ramaswamy, V., Gibson, Lorena, and Venkateswar, Sita. (2010). Field report: The right to education and the pedagogy for hope. Critical Asian Studies, 42(2), 289-310. Gibson, Lorena and Barcham, Manuhuia, with Beatty, Bronwyn and Farrelly, Trisia. (2010). Valuing Culture in Oceania: Methodology and indicators for valuing culture, including traditional knowledge, in Oceania. Noumea, New Caledonia: Human Development Programme of the Secretariat of the Pacific Community. Gibson, Lorena. (2009). Institutional Ethics Requirements and Anthropological Research Techniques, or, why I want to join a university ethics committee (Reflection). Ex Plus Ultra, 1, online publication. Gibson, Lorena. (2007). Landscapes in Music: Space, Place and Time in the World’s Great Music (book review). New Zealand Geographer, 63 (1): 75-76. Gibson, Lorena. (2006).Contemporary feminist perspectives on activism, globalisation and development: a review essay. Women’s Studies Journal, 20 (1): 81-86. Gibson, L. (2017). Anthropology Under my Skin. Anthropology in Aotearoa Symposium. Celebrating 50 Years of Anthropology at Victoria University of Wellington. Gibson, L. (2017). Collaborative ethnographic filmmaking with young people in Aotearoa New Zealand. Shifting States 2017 Conference of the Australian Anthropological Society, the Association of Social Anthropologists of the UK and Commonwealth and the Association of Social Anthropologists of Aotearoa/New Zealand. University of Adelaide. Bonisch-Brednich, B., Trundle, C., & Gibson, L. (2016). Making Care Work: Equity and feminized academic labour in Aotearoa New Zealand. University Futures. Aarhus University, Copenhagen. Gibson, Lorena. (November 2015). The politics of comparison: Negotiating comparison in ethnographic fieldwork. Annual Meeting of the American Anthropological Association. Denver, CO.
Gibson, Lorena. (December 2011). Toward an anthropology and a sociology of hope. SAANZ Conference. Victoria University of Wellington. Gibson, Lorena. (September 2010). ‘Please don’t bring her back’: Respecting local agency and firing research assistants in Howrah, 10th International Women in Asia Conference. Canberra. Gibson, Lorena. (May 2009). Banking on Collective Hope. Keynote speaker at the Annual Conference of the New Zealand Women’s Loan Fund. Thames. Gibson, Lorena. (December 2008). Projects of Hope: Women Organising for Grassroots Community Development in Kolkata (India) and Lae (Papua New Guinea). Ownership and Appropriation: Joint Annual Conference of the ASA, the ASAANZ and the AAS. Auckland. Gibson, Lorena. ( 2006). Rap and Resistance in Aotearoa/New Zealand. Proceedings of the 2004 International Union of Anthropological and Ethnological Sciences (IUAES) Inter Congress Conference, Kolkata, India.